Wonderful serene, relaxing, refreshing photo. Looks like the best place to be on a hot summer day! 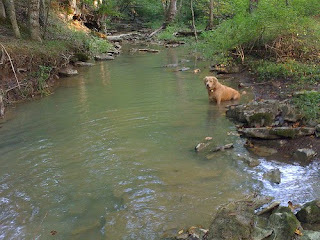 My lab would love to be there with him. As a lab owner I have to vote for his cousin! I have to give at least one of my votes here. What a beautiful photo of a beautiful dog in a beautiful place!